The late winter and early spring of 2017 are clearly periods when the EU is becoming a lot more aware of the blockchain tech and what it could provide to the biggest political union in the world. The same awakening is not always friendly towards digital currency, as the recent draft of an AML (anti-money laundering) law showcases, but there is clearly a push towards this technology in general. The most recent example comes in the form of the EU Commission offering a recommendation that includes a blockchain-based project in the domain of governance. The announcement is a welcoming sign to the blockchain development community, but also, according to many, a strange and subtle hint to the digital currencies currently in operation, including bitcoin. Here are the details of the proposal and also the reason why this can reverberate strongly inside of the EU and the way it conducts its governmental business. 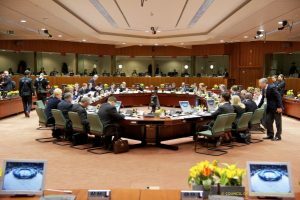 EU Commission, as the executive branch of the EU, came to this proposal as a way of building a proof-of-concept project in the domain of governance, particularly regulation procedures. According to the EU Commission draft that was created for the EU Parliament, but also the EU Central Bank, the project has the goal of advancing awareness and knowledge of the blockchain technology. The focus of improvement would be the regulatory community operating under the EU. Furthermore, the communication presented in the form of this draft covered a notion that the Commission is about to launch a process of public consultations when it comes to financial technology. Through this, the Commission seeks to improve accessibility and efficiency of the EU market. But, the most important element of the draft is the pilot project that would be developed under the guidance of the EU officials. The Commission states the project they are proposing would receive funding from the EU Parliament as an official undertaking designed to boost the expertise and regulatory capacity of national regulators. This benefit would be attained in regards specifically to the distributed ledger technology. In blockchain domain, the distributed ledger is one of the main fields of application thanks to the fact that it is allowing cryptocurrencies to exist. The news that the Commission is willing to start new projects is not that surprising having in mind that in mid-February, some of those undertakings took place. Among them, public sector applications have already been tried out and tested. Currently, the form of the project is not very clear and there are questions related to the partnerships through which this project will be completed. 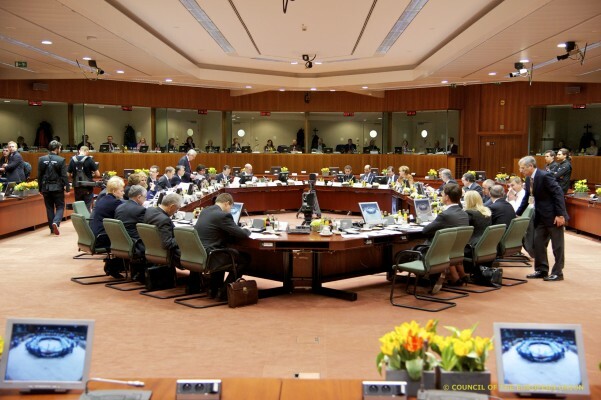 At the same time, many are wondering what is the actual sentiment inside of the Brussels corridors of power when it comes to both digital currencies based on blockchain and its underlying technology. When the bureaucratic aspects of the EU officials are taken into consideration, it is clear to see why so many in the EU are increasingly taking an anti-government stance. In some moments, as Brexit clearly showed, the same sentiment becomes so strong that it simply pushes a nation out of the EU, which is soon about to become a worrying precedent. But, the system that governs one of the most advanced political structures in one of the most violent places on the planet (historically speaking) is in many ways deeply flawed. With this in mind, the policy stances made by the EU over the last couple of months clearly show this. While countless numbers of citizens of the EU use bitcoin to bet at online casinos, employ BTC as an alternative to regular sports betting, or simply purchase things over the internet, the EU regulators want to make a database of digital currency wallets. Like most of the time, this is taking the form of protecting the public from money laundering schemes, the reality shows a reactionary stance towards this FinTech advancement. But, it is also a part of a larger start-stop, or open-closed policy that takes the basic technology of blockchain and sort-of categorizes its appliances into beneficial ones and potentially harmful application. While this idea is simply not true, it also shows that the government bodies are simply pushing their own bureaucratic agenda. One of the key points of Eurosceptic politicians from almost any part of the continent is the idea that the EU became a Byzantine-like giant of laws and regulations that are stifling growth. When the state of the EU economy is examined, it is not hard to see many proofs of this idea. The problem for the EU and the pro-EU politicians it the fact that the same sentiment is regularly followed by a nationalistic mindset and many other problems, but the baseline idea does ring true and drafts like these shows that the same mentality is now crossing over into new tech. While some, like the Malta’s Prime Minister, demanded from the EU lawmakers to embrace existing digital currencies, it looks like the mindset of the most mid-range officials remain staunchly opposed to them. Or, in the best-case scenario, the regulatory oversight will stifle the potential for growth in the key years that are ahead of the world in the same domain. On the other hand, any application of blockchain that is related to regulation enhancement it welcomed with open arms and provided funds from the EU for their development. This system is an almost sure path towards low growth and fewer opportunities in the decade to come, which will most likely be the age of blockchain applications. Here, everything from private document verification to eSports competitions will employ some kind of blockchain. No one can argue that these projects will not provide a certain boost to the domestic blockchain development community, but these will be completed and done within a limited time period. After that, the EU will continue to be a hostile place for any blockchain development for digital currencies but have even more at its disposal when it comes to regulation. The problem is that this regulation will protect EU citizens, but also put so much pressure on the development that the downsides could greatly outweigh any security benefits.